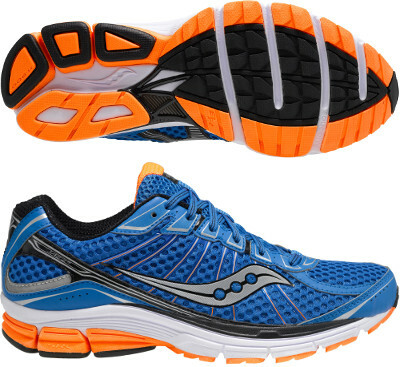 Saucony Jazz 17 are neutral cushioned running shoes. Although not the most popular one, the Saucony Jazz 17 is one of the best mid-range model for neutral runners offering great price for value. Not many changes from its predecessor the Jazz 16, but upper is composed of lightweight Air Mesh where plastic overlays have been removed for extra breathability. Shoelaces have been also reviewed to ensure a comfortable and secure fit. HRC+ Strobel Board provides an additional 1.5mm of durable Impulse EVA midsole for better shock absorption featuring responsive cushioning and smoother transition. There is no change in the outsole which uses XT-900 compound in areas with higher contact wear and blown rubber in the rest for better grip and durability.